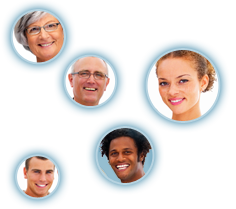 Opinea creates a file which collates information concerning all panel Members. This data collection allows Opinea to manage Member accounts and to use this information in order to produce statistics. Opinea undertakes to implement appropriate technical and organisational measures in order to protect all data of a private and confidential nature. As specialists of Internet-based market research, we are especially vigilant as to the need to respect privacy, as well as the protection of any numerical data with which we are supplied. As an ESOMAR member we comply with the rules and principles of the International Code CCI / ESOMAR for the Practice of Social and Market Research, as well as all of the national legislation currently in force. Each Member has the right to veto, access and rectify data concerning them. Therefore, the panellist can use their membership page “MY OPINEA PANEL” in order to rectify, complete, clarify, update or delete information which is incorrect, incomplete, ambiguous or out of date or that which it is forbidden to collect, use, communicate or conserve. Each Member may exercise this right by following the procedure described in the section “MY OPINEA PANEL” and in “FREQUENTLY ASKED QUESTIONS”. When the account has been closed the Member’s personal data will be archived (with the same level of confidentiality) for 2 years, for reference purposes. One or more “cookies ” will be placed on the hard disk of the Member’s computer to facilitate the management of Opinea Panel and for statistical purposes (pages consulted, date and time they were consulted etc.). The Member authorises “cookies” to be put in place and their use by Opinea. The Member is given the opportunity to refuse the installation of “cookies” by modifying browser settings on Internet Explorer and Netscape Navigator.